An exploration of actionable strategies to reduce earthquake and flood risks in the Georgia Basin. 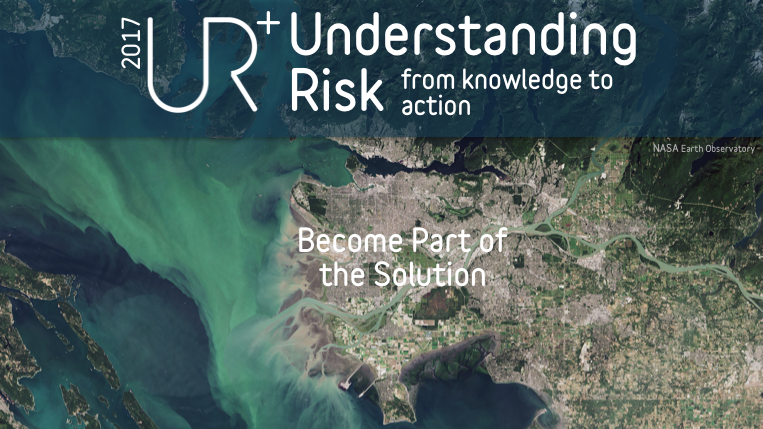 Understanding Risk Vancouver 2017 is a community forum to explore place-based strategies that will promote disaster resilience in the Georgia Basin region of southwest British Columbia. Our goal is to build on the excellent work already underway at various scales of governance, and to support the shift in conversation from hazard and risk analysis to an evaluation of risk reduction strategies to help build disaster resilience through proactive investments in mitigation and adaptation. The UR+ Vancouver symposium will assemble people from across Southwestern British Columbia to share knowledge and perspective on what it means to live with earthquake and flood risks, and to develop innovative solutions that will help build long-term resilience to future disaster events and the impacts of climate change. Insights and knowledge gained through this process will be shared with planners and policy analysts in the region — and to the broader community through the global Understanding Risk platform. What are the likely impacts and consequences of a catastrophic earthquake in BC ? Who and what are most vulnerable to flooding in the Fraser Valley ? What is our capacity to withstand and recover from these catastrophic events ? How do we work together to increase disaster resilience in the region? Which risk reduction strategies are most effective and how do we best implement them ? The Understanding Risk (UR) Community is the pre-eminent platform for collaborating and sharing knowledge in the field of disaster risk assessment. Created in 2009 by the World Bank’s Global Facility for Disaster Reduction and Recovery, the UR Community convenes every two years at the global UR Forum to showcase the latest innovations and build new partnerships to foster advances in the field. The UR+ Vancouver symposium is a spinoff event that is designed to maintain the spirit of the global UR forum at national, regional and local settings.